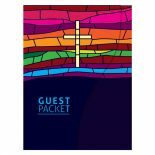 The Colorful Church Welcome Packet Folder Template showcases a collage of full-color photographs, highlighted with bright bars of color. 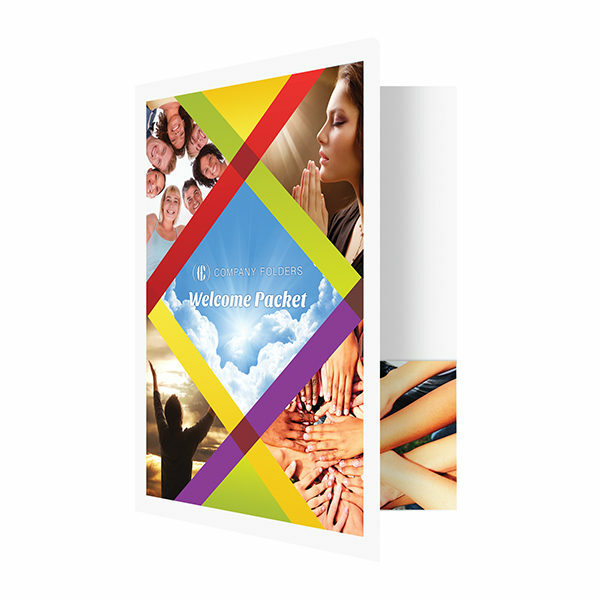 The idea for this design was to feature a sample of a diverse congregation engaged in unified fellowship and prayer. Meanwhile, the light shining through the clouds signifies divine beauty. 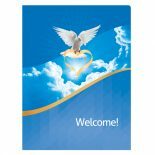 This Photoshop template makes for an excellent welcome package for church visitors and congregation members alike. 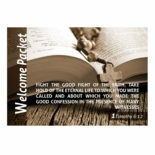 Possible contents could include sign-up forms, maps, brochures, pamphlets and more. 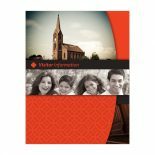 The CD/DVD pocket is ideal for including photographs, video presentations, or other multimedia related to church events. Slits: The die cut template includes multiple styles of business card and brochure slits that can be applied. When you open up the file, please remove any unwanted slit options.